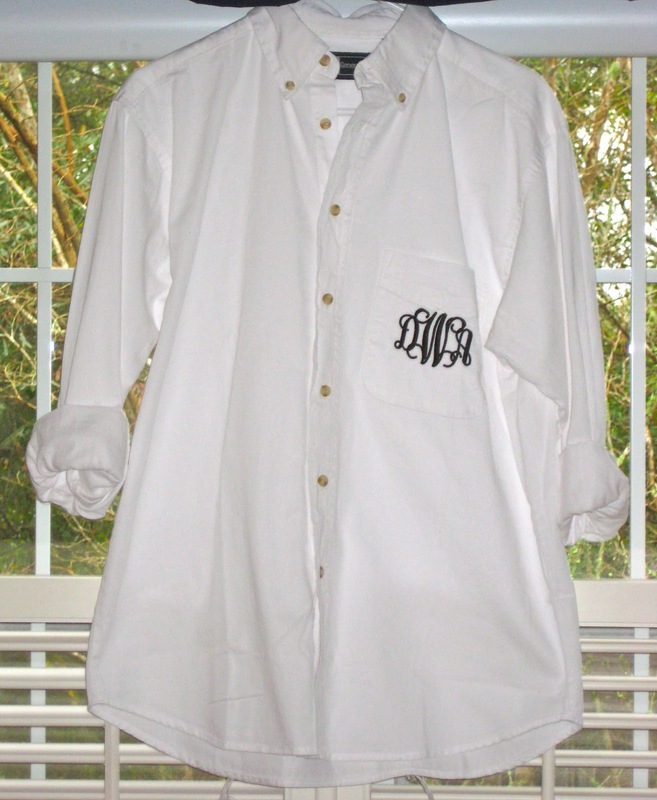 Who doesn't love a monogram and an oxford shirt? Well then what is better than those two items combined? The only thing I can think of that is better than a monogrammed oxford is a shop that sells monogrammed oxfords, enter Fine Thread Art Custom Embroidery! 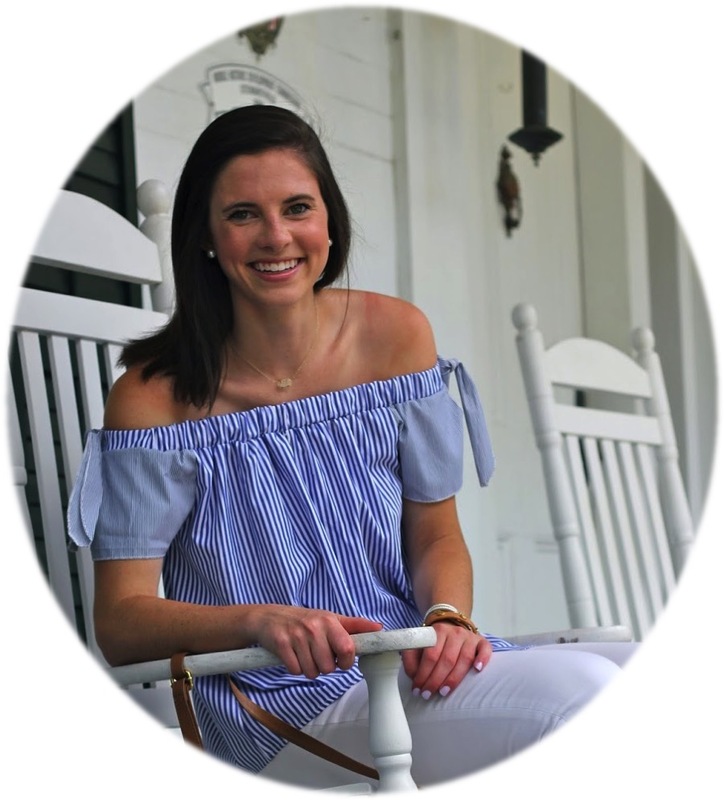 Not only does this etsy shop sell cute button does but they also sell a slew of other monogrammed merchandise! I received an oversized white monogrammed oxford from Fine Thread Art and I absolutely love it! 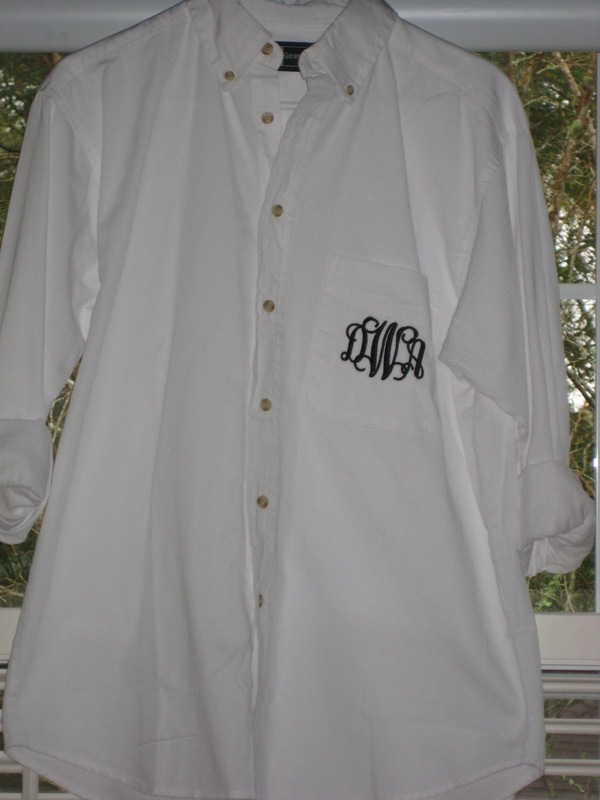 I chose a black monogram because it would be versatile and match a variety of bottoms. My favorite way to wear this shirt, since it is oversized, is over a pair of leggings. Not only am I super comfy but I still look put together! This shirt was soft even before I washed it and I love the way it looks when I cuff the sleeves! I ordered mine in a medium so that it would have that oversized look that works well when pairing it with leggings! 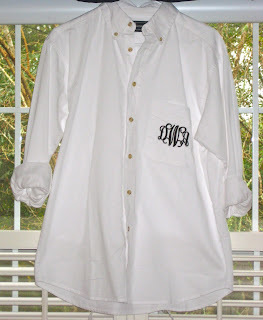 I have seen these shirts as bridesmaids gifts to get ready in before a wedding and I think that is such a fun idea! While I have quite a while until I even think about getting married, that is one idea that I will keep stored away in my brain and definitely use when that big day comes. Until then, how cute would these be when you are getting ready for prom with your friends! How would style your monogrammed oxford? What are your favorite items from fine thread art? Happy National Championship Monday and Roll Tide! P.S. Don't forget Lilly is on Rue La La today, need an invite code click here! So cute! I want one now!!!! That so cute! I would love to get my hands on one of those shirts! very cute! Would be fun tucked into a darkwash jean, tucked into riding boots for a comfy, casual, preppy look!